Three hundred people from Oxford, Banbury and Reading took part in the Great Western Railway's first road-rail-river cruise in London and the Thames. 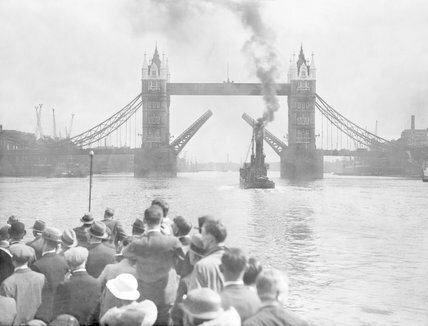 They travelled in special trains and buses, and a specially chartered ship took them on a trip through London's river. It is expected that by next year these road-rail-river cruises will be a regular weekly feature.